Your choice of portable entertainment - transformed. Experience 270deg of movement for a viewing experience tailored to you with the Lenoxx 15.4” Swivel Portable DVD Player. 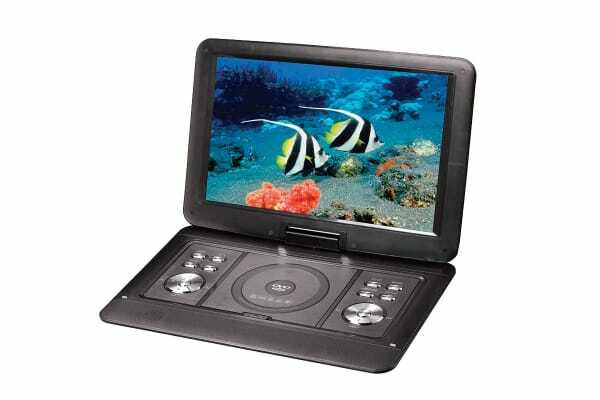 In a single, smooth action you can convert the Lenoxx 15.4” Swivel Portable DVD Player from its standard, upright position, to an easily-portable, tablet-style view. You can enjoy your favourite DVDs, music and images on the generous 15.4” display. Your digital library can also be explored with compatibility with a range of file formats, as well as its built-in USB interface and SD/MMC card slot. Controlling your portable DVD unit is simple with both AV and car adapters, as well as a remote control to fit your environment. Its high-powered, built in battery is fully-rechargeable and retains its power for 2 hours without charge.